I was always afraid to quit. For me, quitting was never an option. Quitting made me feel like I disappointed myself and the other people around me who were expecting me to succeed. But I’m sure it’s not just me who felt that way. I’m sure you’ve had trouble quitting, too. The good news is, it’s not our fault. 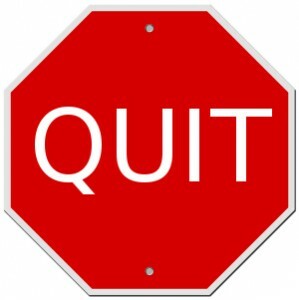 Quitting has never been easy for us in our society. Since childhood, we were taught to never give up. We were always given the examples of people who never gave up on their dreams, reaping countless blessings as their reward for persevering. The adage “try and try until you die” shows our mindset as a society–that quitting is for losers. It’s no surprise that quitting makes us feel guilty.